There are more than 500 million LinkedIn users today – and for good reason. LinkedIn is regarded as the most prominent social media network for professionals. The platform is useful for students, job seekers, those looking to network, those looking to expand their connections, influencers, and more. But don’t just take my word for it, consider the data from LinkedIn’s guide for B2B marketers. It found 91 percent of marketing executives list LinkedIn as the top place to find quality content. Even more so, 61 million LinkedIn users are senior-level influencers and 40 million are in decision-level positions. Simply put: You could swear off social media for the rest of your life, but when it comes to career-building, you might want to hang on to LinkedIn. If you’re on the fence about joining LinkedIn or if you’re new to the platform, we compiled some of the best tips to consider when building your profile. Already on LinkedIn and consider yourself a “LinkedIn guru?” Don’t worry, we included some useful tips you may have overlooked. From the basics of uploading profile pictures and cover photos to tweaking your job-seeking preferences, here are 35 LinkedIn profile tips to maximize your exposure on the top social network for professionals. Creating a new social media profile can be overwhelming, and sometimes, you hardly know where to start. For LinkedIn newcomers, these tips are for you. 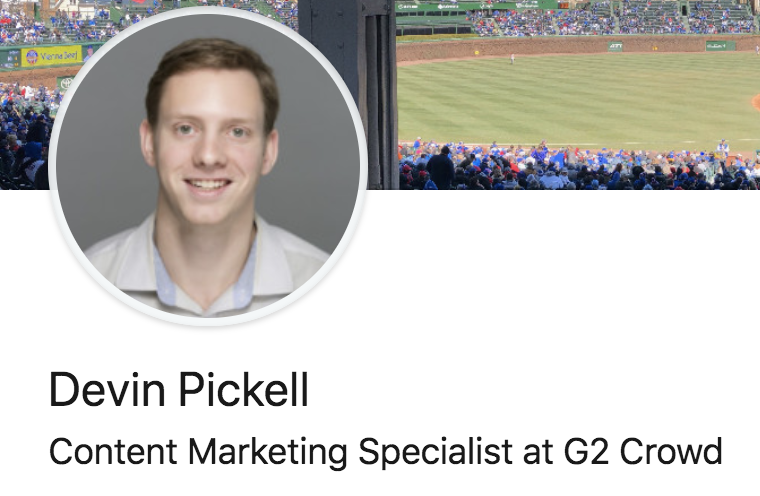 With a surge in fake profiles over recent years, the very first thing you should do when signing up for LinkedIn is to upload a profile picture. Data shows that accounts with real pictures receive 36 times more LinkedIn messages and 21 times more profile views. Not everyone will have access to a professional photographer, but for those who do, uploading a professional headshot gives you a noticeable edge. LinkedIn research reveals users with professional headshots receive 14 times profile views than those who don’t. This may be obvious but avoid uploading “unprofessional” pictures. Even if you don’t have a professional headshot, taking a selfie in a dress shirt is better than posting that picture of you at the bar. Your headline shows up directly beneath your name, meaning it’s one of the first things someone viewing your LinkedIn profile will see. If you’re currently employed, you might just write your role within the company. For students and job seekers, it’s to your benefit to get creative with your headline to help you stand out from others. However you craft it, be sure to keep your headline concise. Include at least one keyword in your headline so recruiters can quickly find your profile. For example, I have the keyword “content marketing” in my headline since it falls in line with my career path. As you’re editing your LinkedIn intro, be sure to specify ZIP code and areas within that location. This isn’t a required step, but it’s especially important for job seekers since it makes your profile easier to discover by local recruiters. When first signing up for LinkedIn, your profile URL will consist of randomly generated numbers and letters. Fortunately, LinkedIn allows users to customize their profile URL for added personalization. This also increases your profile visibility for search engines, making you easier to find. Tip: In just three minutes, you’ll know exactly how to change your LinkedIn URL with our step-by-step guide. Your headline is what draws visitors onto your LinkedIn profile, but your summary is what they’ll read once they get there. Some personal and professional accomplishments. Any unique skill sets or qualifications. Interests and passions outside of work. Most of all, be personable and real when writing your LinkedIn summary. It should compel visitors to want to learn more about you. This section is the nitty-gritty of your LinkedIn profile since it breaks down all your work history, roles, and responsibilities. It’s where recruiters who are interested in you will spend a considerable amount of time seeing if you’re a good fit. Be descriptive, but also be sure not to ramble on about very specific projects unless they include data or numbers that strengthen your case. For example, something like “crafted a series of product case studies which brought in 100 new MQLs, the highest of any marketing campaign,” is a great accomplishment to touch on. Current students or those who have recently graduated may not have the most robust work experience. Don’t worry, your profile visitors will most likely be interested in things you’ve accomplished during school. In the Education segment on LinkedIn, discuss any clubs you were a part of, any extracurricular activities, educational feats, volunteer opportunities, internship experience, and more. Below work experience and education history comes specific skills you’ll list on your LinkedIn profile. These skills should be integral to your day-to-day work, not ones you’ve “dabbled” in once or twice. Not sure which skills to add? LinkedIn provides suggestions based on the information you’ve provided thus far. Obviously, you want to be particular about which skills you add to your LinkedIn profile, however, you should aim to add at least five. Research from LinkedIn states users with at least five skills listed are 27 times more likely to be discovered by recruiters. Whenever there’s an option to increase profile visibility, you should take it. One of the final sections on your new LinkedIn profile consists of accomplishments you can list and verify. These accomplishments can be certifications, projects, honors and awards, test scores, languages, and more. The more accomplishments listed, the more unique your profile is to visitors. It can also be a launching point with recruiters. For example, multiple languages listed on your profile can attract job opportunities with multi-lingual requirements. LinkedIn’s on-boarding process includes a bit of gamification, also known as an online engagement technique to provide a fun, game-like experience in non-gaming settings. What’s the benefit of reaching ‘All-Star’ status? This means your profile is the most complete it could be and has maximum visibility on LinkedIn’s platform. Congrats, your LinkedIn profile is now up-and-running with some basic information. Now it’s time to make some connections and expand your knowledge of the platform. Here are some tips to do so. You have enough information on your LinkedIn profile to begin making some useful connections with people you already know. Think of past college professors that had an impact on your education, any friends and family with LinkedIn accounts, people you went to high school and/or college with, former and/or current colleagues, and more. 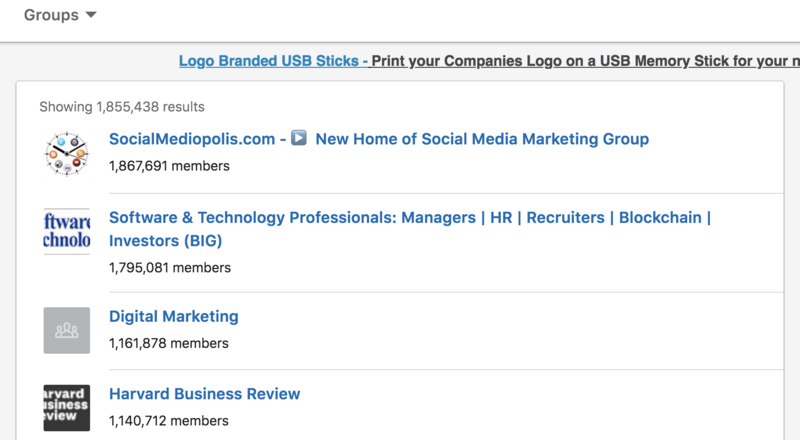 A rule-of-thumb for those getting started on LinkedIn is to not add random connections. This step is especially important for job seekers since many recruiters seek a proper resume in addition to looking at LinkedIn profiles. Uploaded resumes on LinkedIn also have the option to be saved so candidates can quickly apply to jobs that are of interest to them. 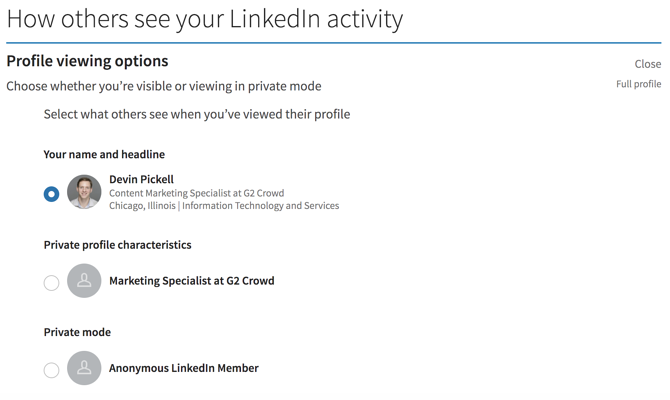 Tip: It’s a three-step process to upload your resume to LinkedIn. Our guide shows you the easiest way. Posts are the bread-and-butter of LinkedIn. It’s how people share their interests, find new content, follow trends, and even meet new connections. The data behind posting regularity differs. For example, Constant Contact recommends at least twice per week, with a maximum of five times per week. Buffer, on the other hand, recommends posting once per day for a 60 percent increase in profile views. My recommendation? Post at least once per week to be considered an “active” user. Any schools or companies listed on your LinkedIn profile will automatically be listed under your interests, however, you have the option to add more. What’s the benefit of adding additional interests? Adding brands you’re interested in will keep you up-to-date on trends and valuable marketing collateral that can expand your own industry knowledge. This type of content is easily sharable and could be of interest to your first round of LinkedIn connections. To add interests, scroll down to the very bottom of your LinkedIn profile to find the Interests section. This step is crucial for students looking to enter the market and job seekers. Under the Jobs tab, you’ll find career interests near the top of the page. Click on this to refine your search results for your next dream job. Everything from preferred industries to preferred company size will be taken into account for headhunters and recruiters – which brings us to our next tip. 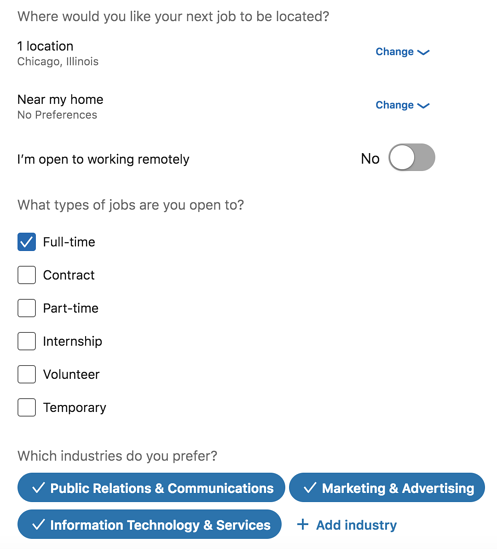 At the top of the career interests page, you’ll notice a toggle next to “let recruiters know you’re open.” If you’d like to be seen by recruiters, switching this toggle on is a must. Recruiters that know you’re open to new opportunities are twice as likely to send you direct messages about relevant roles. Not ready to send in your resume? Think a recruiter can gain more insight? Checking to see if you any mutual connections at the company? Save and track job posts that are of interest to you, but you’re not quite ready to pull the trigger on. Like any social media groups, LinkedIn groups are communities of users who share similar thoughts and interests. 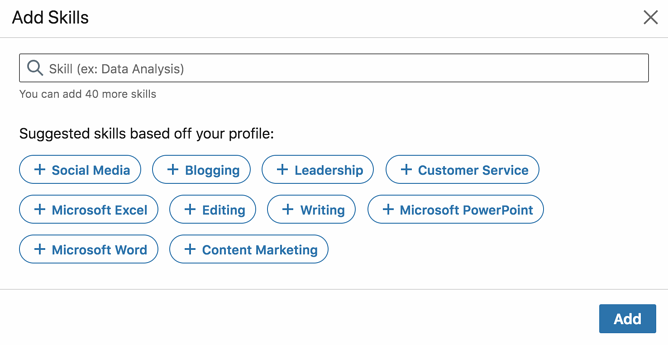 Based on the interests you’ve laid out when building your profile, LinkedIn will automatically suggest groups it thinks you’d enjoy. Click on Groups on the left-side dashboard on your homepage. From here, you can join public groups or create your own. This is a great way to expand your connections. 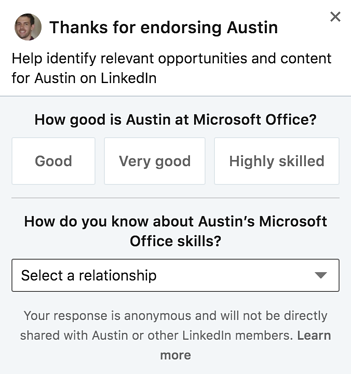 One way to cultivate relationships on LinkedIn is by endorsing one or two of a connection’s skills. Simply go to someone’s profile, scroll to the bottom where their skills are listed, select a skill, and verify their proficiency in that skill. Once a skill is endorsed, that user will receive an email and a LinkedIn notification. It never hurts to leverage an endorsement to receive one of your own. Identify connections that can verify a skill of yours and send them a personalized direct message asking if they can return the favor. Tip: Be strategic about endorsements. Check out our guide on how to endorse someone on LinkedIn, and how to get endorsed back. Connecting with someone outside your primary network? Send them a personalized message thanking them for the invite. Format messages how you would in an email and keep the content of the message professional. Your LinkedIn profile is really coming along great. Now it’s time to maximize connections within your primary network, and you can do this by syncing all contacts from Google, Outlook, and your phone contacts. To do this, head to your Account Settings > Privacy > Sync Contacts. You’ll need to approve the synchronization to import all contacts from your sources. You’re fully caught up on the ins-and-outs of LinkedIn, so what’s next? Take a look at some of these advanced tips to enhance your LinkedIn experience. Your LinkedIn profile contains troves of personal data. A cybersecurity best practice to protect this data is to turn on two-step verification. To do so, head to your Account Settings > Account > Site Preferences, and input your mobile phone number to receive a verification code. Every unrecognized login attempt via desktop will trigger an SMS response to your phone, enhancing security. Tip: Interested in cybersecurity? Check out our in-depth list of the top cybersecurity trends of 2019. Sharing content across multiple social media accounts maximizes exposure, increases share-ability, and reaches different audiences. Fortunately, users can easily link their LinkedIn and Twitter accounts. To do so, head to Account Settings > Account > Account Management > Twitter Settings, and input your primary Twitter account login information. Have valuable pictures, videos, articles, or any other multimedia files to strengthen your LinkedIn profile? Be sure to include them in your summary, as it’s one of the first things visitors will see and will lead to increased click-through-rates. Edit your intro like you first did when creating your profile, scroll to the very bottom, and add files or links. This is a great way to increase the visibility of portfolios. While you’re adding multimedia, be sure to do it for current or previous jobs. This helps recruiters and hiring managers get a quick glimpse at specific projects you tackled during your time with a company. Whether you’re applying for a new job or gearing up for yearly performance reviews, as a professional, it’s important to know your earning potential. LinkedIn salary is a tool which aggregates data based on your role (or the role you’re looking for), company size, location, and what others are making in a similar position. It will then give you a base salary to expect. It’s always good to do your homework, especially when it comes to salary expectations and negotiations. You’ve built up a wide network of connections, now it’s time to flex your thought leadership. One of the best ways to do so on LinkedIn is through its publishing platform. Simply go to your homepage and click on “write an article on LinkedIn” under where you’d post a status. You can write about a unique career experience, industry predictions, career advancement tips, culture-building, and much more. Tip: Read our complete guide on how to post an article on LinkedIn, which includes 10 valuable writing tips to maximize its exposure. Have old content – whether it be a personal or business blog – not gaining traction? Plug it into LinkedIn’s publishing platform and repurpose it. Native content to LinkedIn could provide that well-needed engagement boost to old content and bring it back to life. Add a call-to-action near the bottom of to drive visitors to a website, landing page, or personal blog. Directly below where you’d follow groups is an option to discover and follow hashtags that are relevant to you. For example, some of the hashtags I follow are #contentstrategy, #marketing, and #digitalmarketing. Following hashtags is a great way to collaborate with like-minded individuals on LinkedIn, share insights, and expand your personal network. Ever get constant notifications of a specific person viewing your profile, asking yourself “what exactly are they looking for?” Well, other LinkedIn users get those notifications as well. If you’re looking to change your appearance, head to Account Settings > Privacy > How others see your LinkedIn activity. There are three options to change your appearance. Changing your appearance can be useful when looking at potential candidates or if you like enhanced privacy. Take hold of your all your activity on LinkedIn by downloading your data. There are two data archives, one that arrives within 10 minutes, and one that arrives within 24 hours. Each archive details everything from account history and basic profile information to security challenges and ad targeting. Tip: In just six steps, you can gain a full report on your data by exporting LinkedIn contacts. See our new guide. More analytics about profile views and engagement. Ability to hide (so other users don’t know you viewed their profile). Send messages to users you’re not connected with. Some plans cost upwards of $60/month. Fortunately, LinkedIn lets its users try Premium for a month at no cost. If you have a considerable amount of connections, it’s worth giving the free trial a shot. From crafting your profile to expanding your professional network, following each of the 35 tips listed above are sure to maximize your profile visibility, increase influence on LinkedIn, and boost your personal brand. Interested in building your Instagram persona? We asked 12 social media experts for their top Instagram hashtag strategy tips. Looking to make connections offline? Check out 9 networking tips you can apply in any real-life situation. 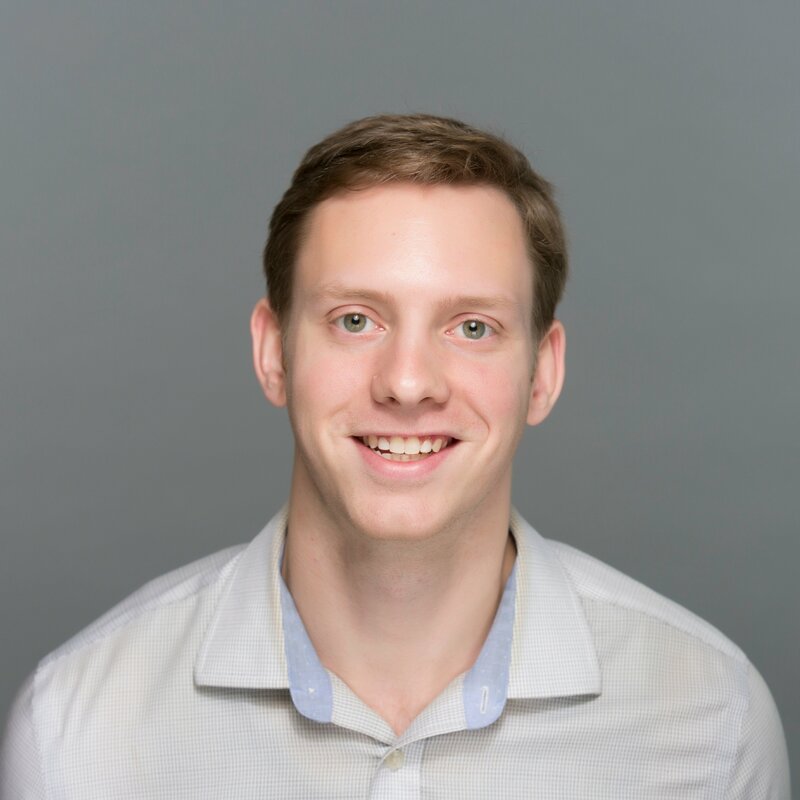 Devin is a Content Marketing Specialist at G2 Crowd writing about data, analytics, and digital marketing. Prior to G2, he helped scale early-stage startups out of Chicago's booming tech scene. Outside of work, he enjoys watching his beloved Cubs, playing baseball, and gaming.